Satisfy your appetite at one of the motel's 2 restaurants. A complimentary continental breakfast is included. 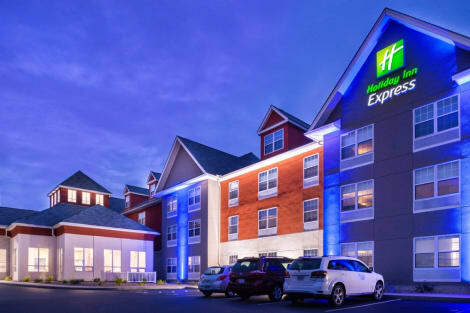 When you stay at Days Inn by Wyndham Mystic in Mystic, you'll be near the beach, within a 5-minute drive of Mystic Seaport and Mystic Aquarium and Institute for Exploration. This hotel is 8.3 mi (13.4 km) from Foxwoods Resort Casino and 12.3 mi (19.7 km) from Misquamicut State Beach. Located in Mystic, Mystic River Hotel & Suites Near Casinos is within a 5-minute drive of Mystic Aquarium and Institute for Exploration and Mystic Seaport - The Museum of America and the Sea. This hotel is 1.2 mi (1.9 km) from Mystic Seaport and 5.5 mi (8.9 km) from Stonington Vineyard. When you stay at Quality Inn Mystic-Groton in Mystic, you'll be near the beach, within a 5-minute drive of Mystic Seaport and Mystic Aquarium and Institute for Exploration. This casino hotel is 8.4 mi (13.5 km) from Foxwoods Resort Casino and 12.2 mi (19.7 km) from Misquamicut State Beach. 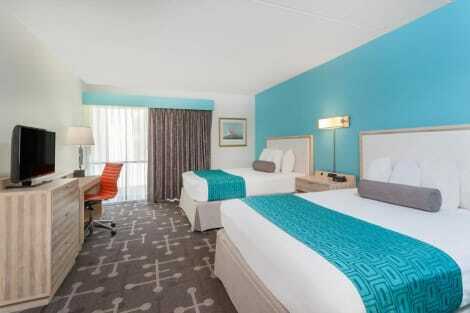 Make yourself at home in one of the 32 air-conditioned guestrooms. Complimentary wireless Internet access keeps you connected, and cable programming is available for your entertainment. Conveniences include phones and irons/ironing boards, and housekeeping is provided daily. Grab a bite from the grocery/convenience store serving guests of Hampton Inn & Suites Mystic. A complimentary buffet breakfast is served daily from 6 AM to 10 AM. Enjoy recreation amenities such as a seasonal outdoor pool or take in the view from a terrace. Additional amenities at this hotel include complimentary wireless Internet access, concierge services, and wedding services. Make yourself at home in one of the 77 air-conditioned rooms featuring refrigerators and microwaves. Wired and wireless Internet access is complimentary, and flat-screen televisions with satellite programming provide entertainment. Private bathrooms have complimentary toiletries and hair dryers. Conveniences include desks and complimentary weekday newspapers, as well as phones with free local calls. With a stay at Hyatt Place Mystic in Mystic, you'll be within a 5-minute drive of Mystic Seaport and Mystic Aquarium and Institute for Exploration. This hotel is 8.9 mi (14.3 km) from Foxwoods Resort Casino and 12.1 mi (19.5 km) from Misquamicut State Beach. lastminute.com has a fantastic range of hotels in Mystic, with everything from cheap hotels to luxurious five star accommodation available. We like to live up to our last minute name so remember you can book any one of our excellent Mystic hotels up until midnight and stay the same night.